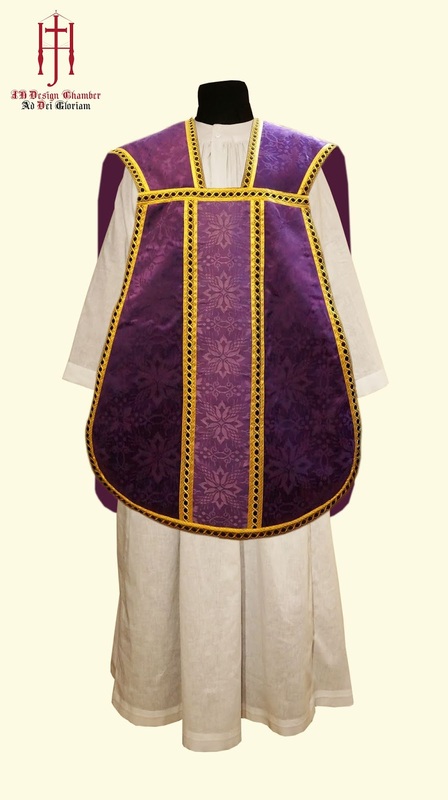 This fiddleback chasuble cutting was replicate from one of my personal collections of old vestments. 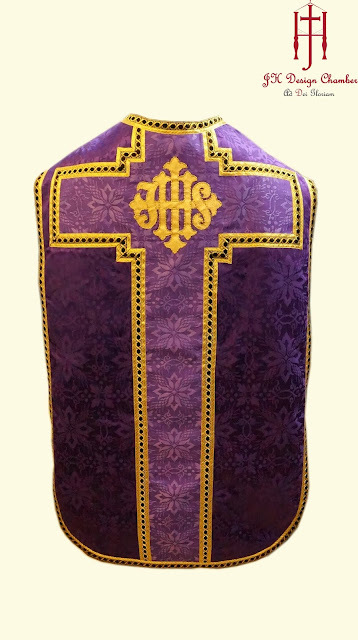 The layout of the trim is rather different from the commonly seen shape of cross at the back but a Tau Cross with a hand embroidery of gold work. The braid is one of my favorite collection, the black velvet gold and outlined with a narrow trail gold braid to resemble the final width.